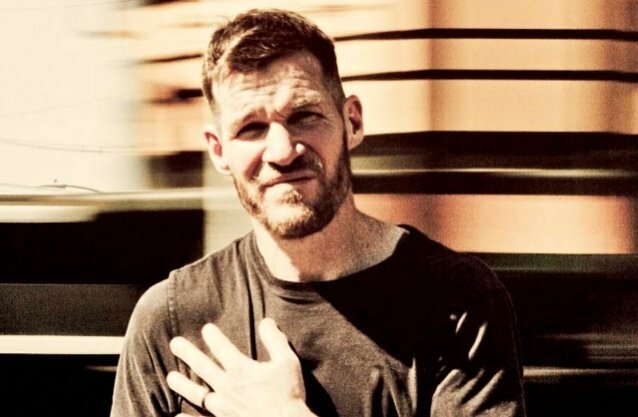 According to The Blast, RAGE AGAINST THE MACHINE bassist Tim Commerford is being sued over an alleged car accident that left the victim with over $65,000 in medical bills. Alec Chaice claims Commerford was driving next to him as he was riding his motorcycle on the 10 Freeway in Los Angeles on April 24, 2018 when the bassist changed lanes and crashed into him, causing significant injury. Chaice underwent lumbar spinal surgery and a nerve root block procedure and has a six-inch scar on his back as a result. Chaice is suing for his medical expenses, economic loss, damage to property, plus interest and costs. As previously reported, Commerford's wife filed for divorce from the bassist on November 28. The 50-year-old rocker and Aleece Commerford were married in 2001 and have two sons together, Xavier and Quentin. In addition to playing with RAGE AGAINST THE MACHINE, AUDIOSLAVE and PROPHETS OF RAGE, Commerford handles lead vocals in a post-punk trio known as WAKRAT, which also features drummer Mathias Wakrat and guitarist Laurent Grangeon.